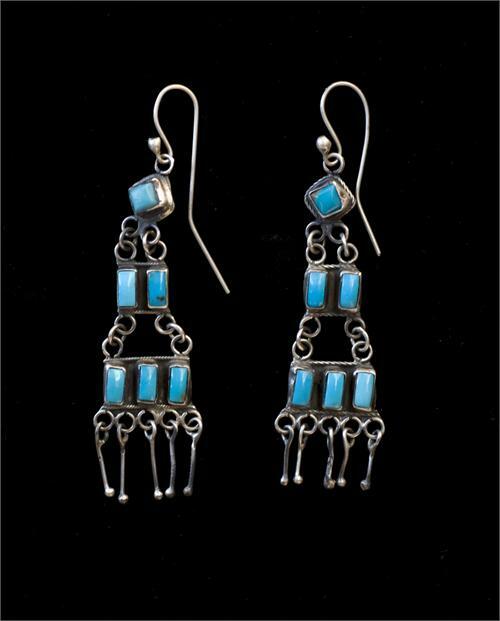 CONTEMPORARY STERLING DARK BLUE TURQUOISE EARRINGS. 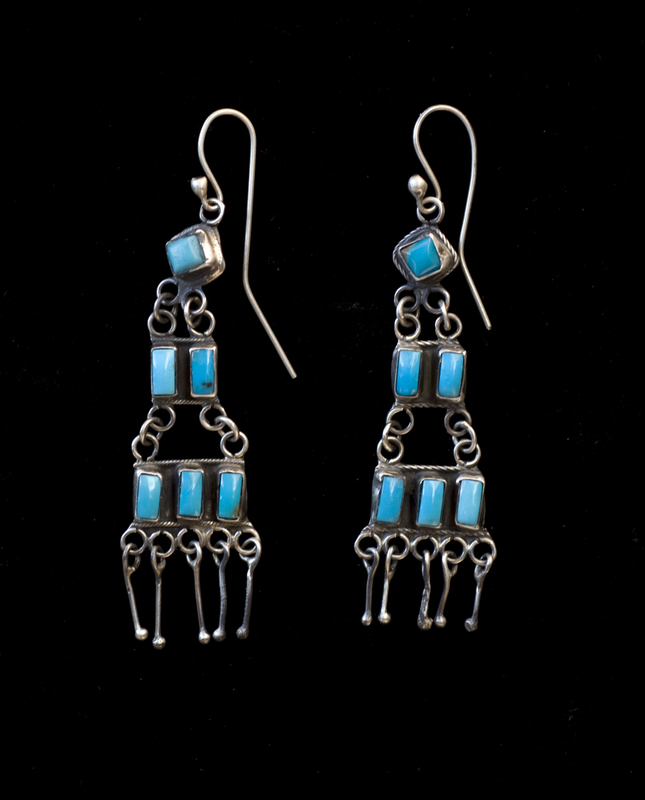 3 TIERS OF RECTANGLE SHAPED TURQUOISE. ON WIRE. 3"